The “About Us” page has historically ranked as the 2nd most popular page on business and personal websites. This includes small business and sales professional’s websites and blog sites. 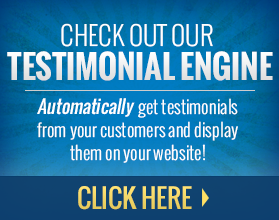 So having a really good About Us or About Me page is critical when people visit your website. You can use this page to let them get to know you better. With a well-written about me page, they will be able to determine whether you are a good fit for the service that they are looking to have performed. This article, How To Create An Amazing About Page To Turn Fencesitters Into Buyers, is one of the best I’ve seen detailing exactly how to write a killer About Me page. The thing I like about this article is that Mark Brinker breaks down 8 specific categories of content that you can include to improve your About Me page. And beyond that, he gives specific instructions on how to write it, questions to jog your mind on how you can best implement it and so much more. Your About page really isn’t about you. How did you get here? What’s your story? That last one “A clear call-to-action” is the simplest and most important suggestion that I’ve seen regarding these About pages. It just makes sense that once a person has invested their time to get to know you on your About Page, why wouldn’t you give them a simple way to take the next step? Take some time and get your About Me page in shape by following these really fantastic suggestions. It might take an hour to get it done, but it’s an investment of time that will pay dividends forever on your website. Struggling with figuring out what to say on your all-important “About Me” page and don’t want to do it yourself? bio so your prospects and customers will WANT to do business with you? For a limited time, you can have a professional copywriter do the job for you! We’ll create a stunning About Me page exclusively About YOU! ✔ 100% done for you upload to your website so you don’t have to mess with it! ✔ PLUS, we’ll even add any video and photos that you would like to include to better share your personality online! ✔ 5 x 7 post card with your picture and bio on the back. ✔ A shortened version of your bio on the back of your business card. ✔ Create a hand out (with your pic) to give to clients you meet with or send snail mail. ✔ Give a copy of your full-blown bio to real estate agents to hand out to clients (in addition to your business card). 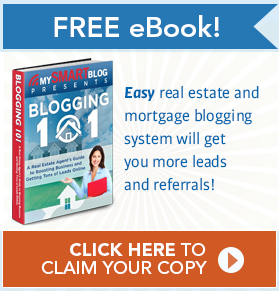 Mikel Erdman is the founder of MySMARTblog and RealtyBlogContent. He is a published author and speaking authority on topics including marketing automation and how technology can positively affect company and individual sales efforts. If you like the idea of world-class content marketing in a completely automated system, Click Here for his valuable, limited time offer. PrevThe “Duplicate Content Penalty” Is A Lie! Thank you for your kind words, Mikel! You bet Mark. As I said, it’s an exceptional post and very helpful for anyone’s online marketing. Well done!